← What day is this, anyway? 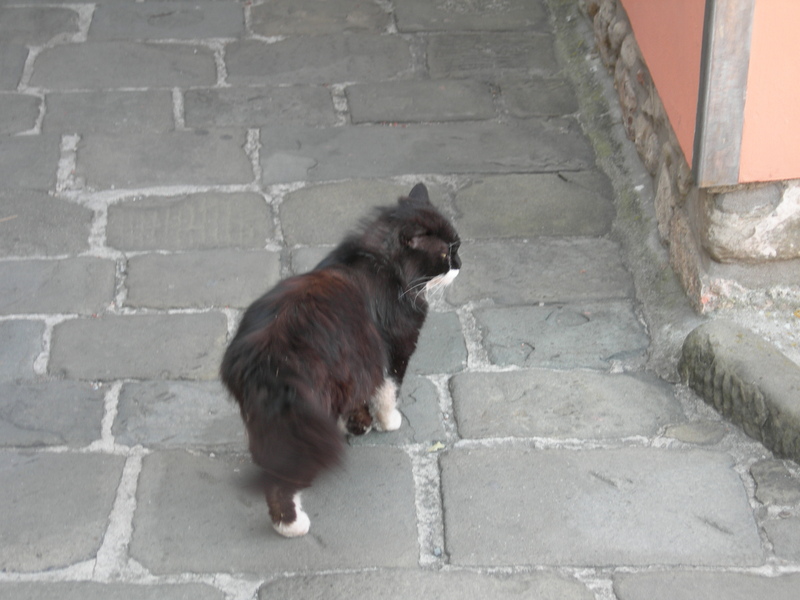 This is the first Italian kitty that I encountered in Lucca. 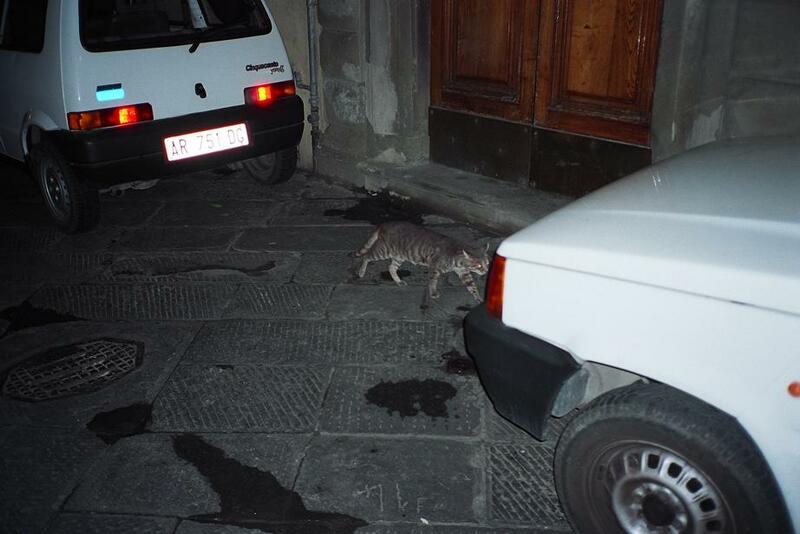 This was probably my second night in Italy, after I finally slept off the jet lag from the trip over. 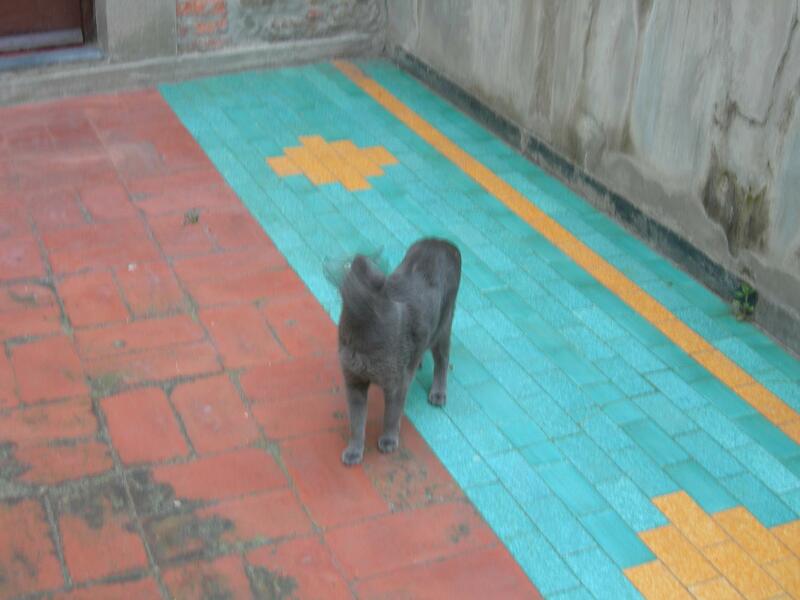 He was skinny and cute. I wanted to play with him, but he had an already scheduled agenda that didn’t include hanging out with la pazza Americana, or, the crazy American girl. 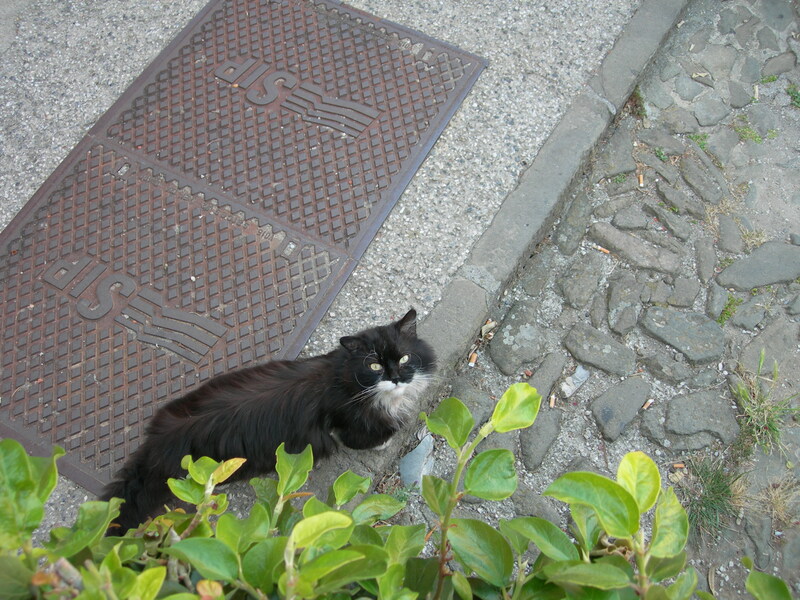 This cute little tuxedo kitty was hanging out near my hotel in Montecatini Terme. He looks like he carries some pretty substantial street cred among the cats there. Kitty gave me this smarty pants look like he really had better stuff to do than pose for me to take his portrait. Sorry, dude. Just being a tourist. 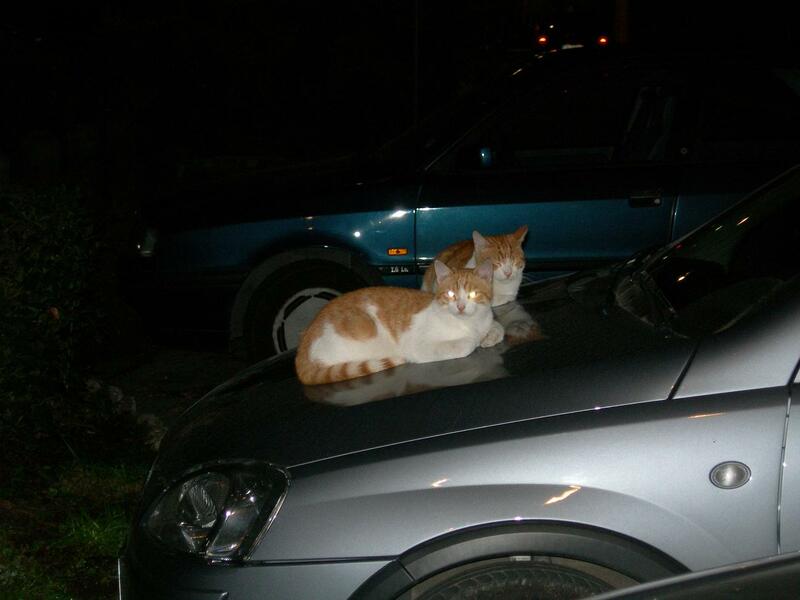 These little guys were snoozing on a car outside of a movie theater in Montecatini Terme. They were pretty comfy, and not at all disturbed by the flash of my cheapo camera. 🙂 Get back to sleep, fellas. 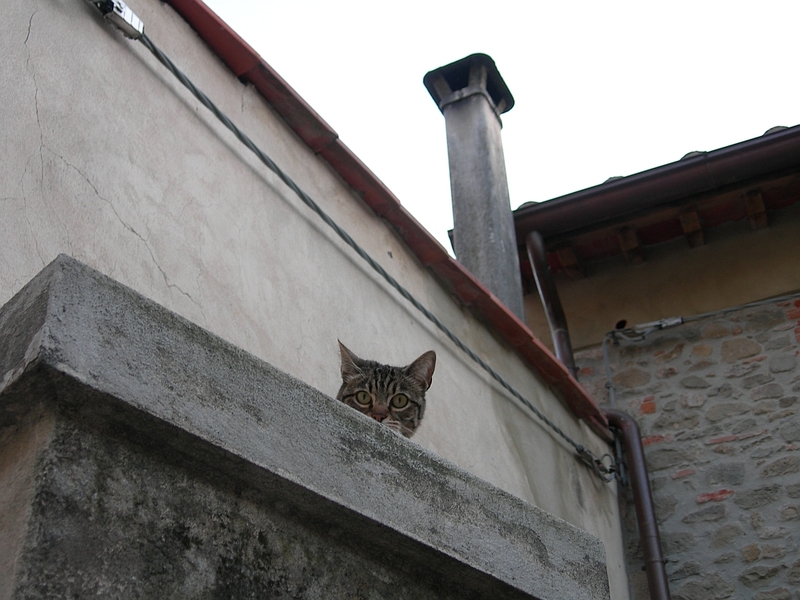 While wandering around Siena, I found this fuzzball staring at me from a second-story window. 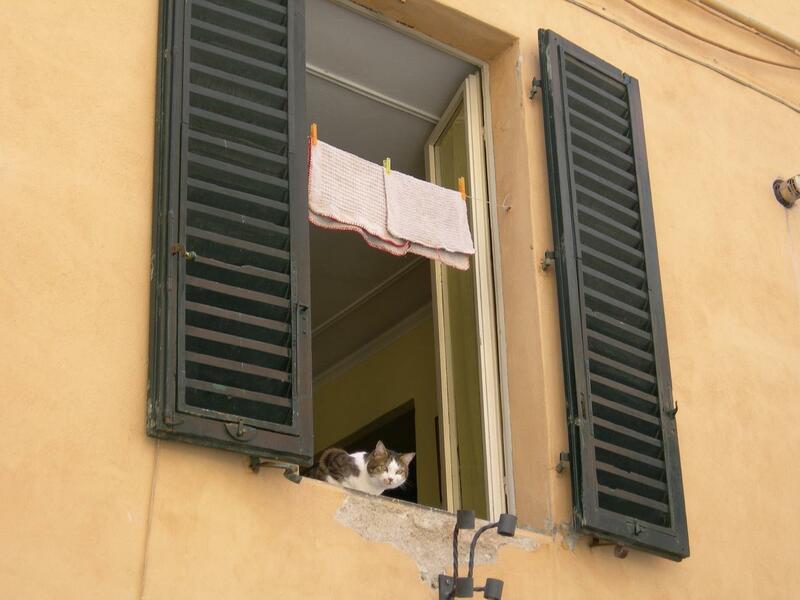 Of course, there are no screens on windows in Italy, so I was afraid he might fall out. 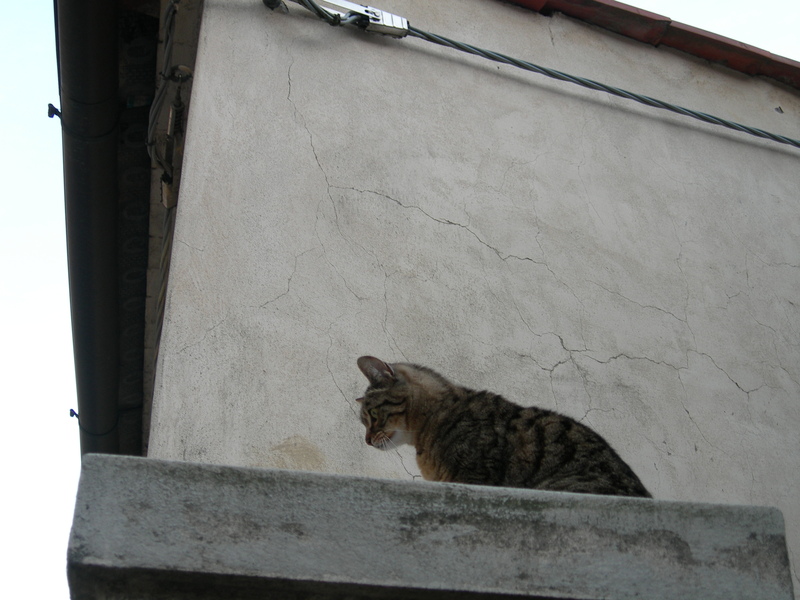 But then again, he sorta looks like an old pro at this window perch thing. I’m sure he was just fine. 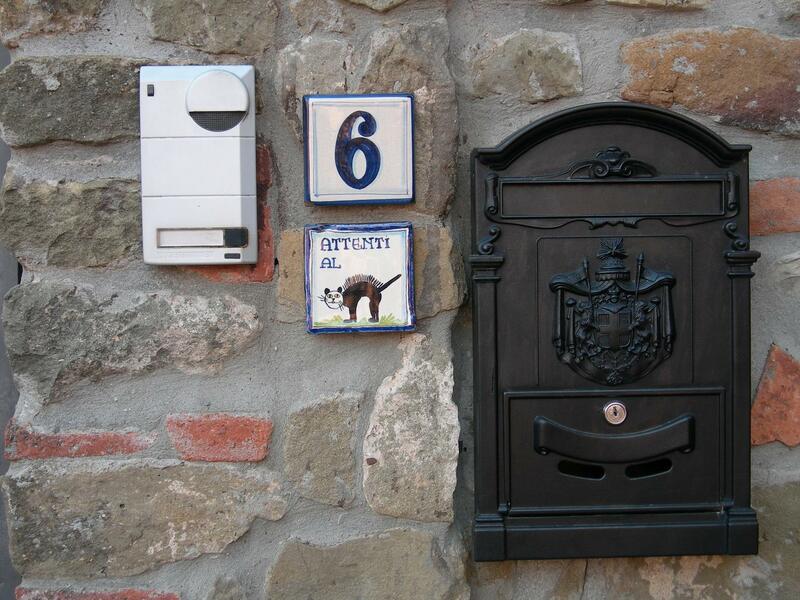 Surprisingly, in the tiny hill-top town of Montecatini Alto, I ran into all sorts of furry wonders. This is the first one. I snuck in another picture of him just for good measure. 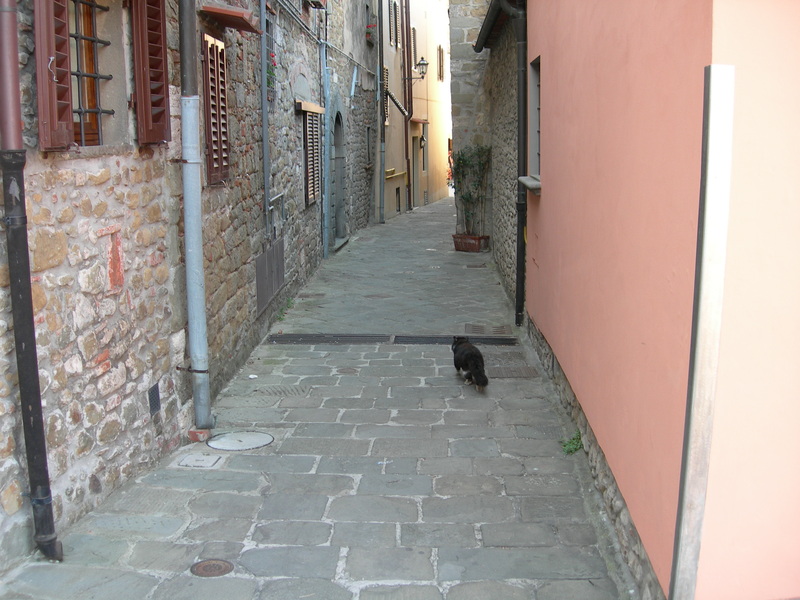 And then I came upon this kitty, who seemed to own the whole neighborhood. He was too busy to be bothered by me, but before he ran off, he did give me a pose. 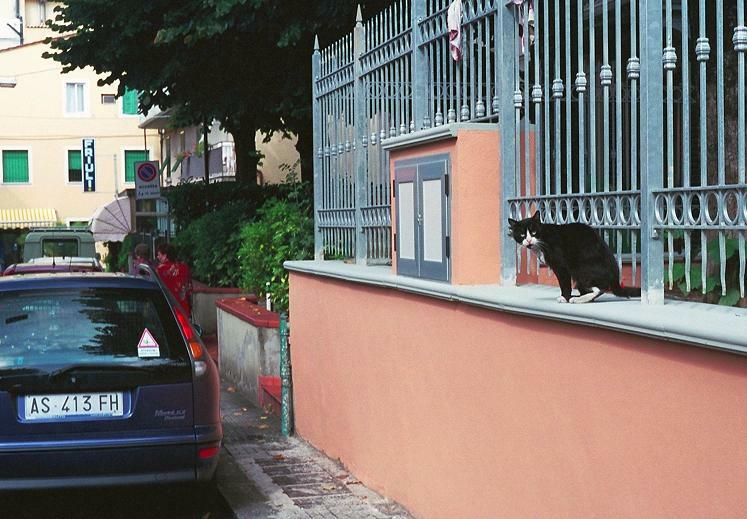 ATTENTI AL GATTO: Beware of the cat! Not sure what’s happening with this little grey fella. Makes me a little dizzy to look. 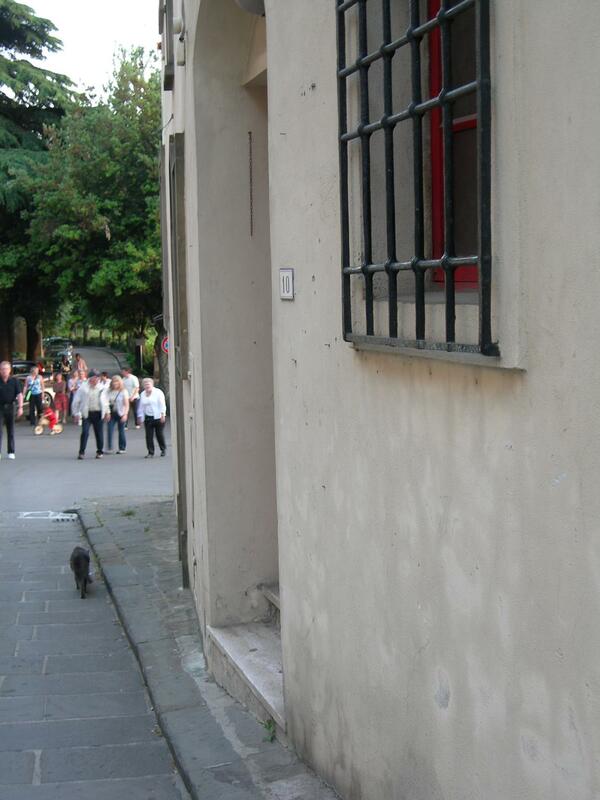 This entry was posted in Cats, Florence, Italy, Montecatini Terme, Photography, Siena, Touristing and tagged Cats, Gatti, Gatto, Italia, Italy, Kitty, Lucca, Montecatini Alto, Montecatini Terme, photography, Siena, tourism. Bookmark the permalink.